Moving from the city to the suburbs was a huge lifestyle change for our family. We left the constant buzz of the city to live in a house surrounded by a peaceful forest. My daughter noticed right away how quiet the nights were living outside the big city. She also became uneasy about the sounds of the nocturnal animals scurrying around at night. A few months ago, she started sleeping with her lamp on, with fears of the dark and the animal sounds outside. One of the ways that we’ve helped her cope with her fear of the dark is to talk to her about nocturnal animals. We ask her questions like: Why do you think certain animals are awake at night? Which animals are active at night? What are those animals doing at night? Then we went to the library to check out books on nocturnal animals. 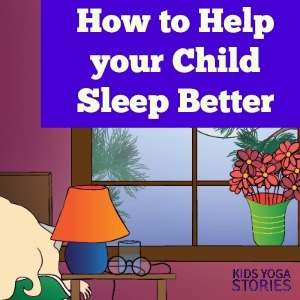 Our hope is that by discussing, reading books, and acting out night animals through yoga poses for kids, she’ll learn enough about night life to sleep peacefully. The simple and sweet text of this book might be good for a toddler or preschool yoga class to act out the various “moon child” animals. An owl hears sounds from its perch in a tree and asks, “Whoo goes there?” Always hoping the sound will be a mouse for its dinner, the owl patiently watches other nocturnal animals scurrying around, making noises. Eventually he sees a mouse, who gets away. 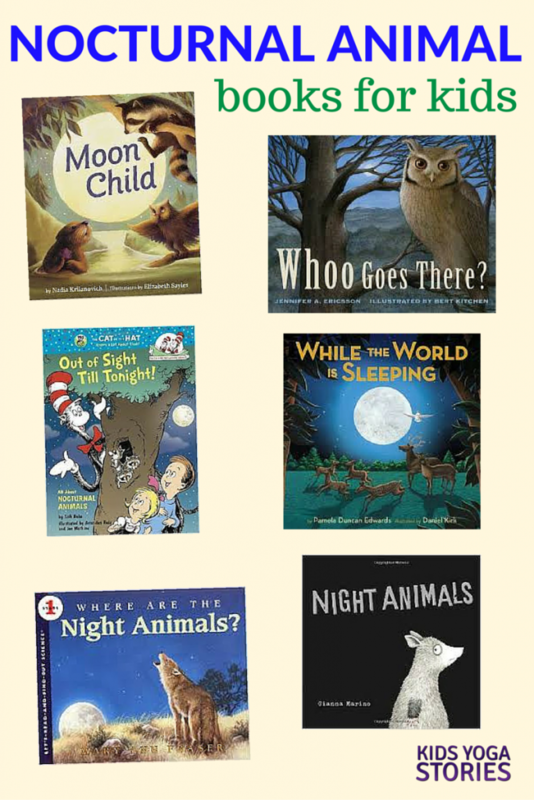 Like other Cat in the Hat learning books, this one teaches children about nocturnal animals through rhyming text and cartoon images. This bedtime book follows a little boy who rides on the wings of an owl and takes a journey through the night to see what nocturnal animals do while we’re sleeping. Where Are the the Night Animals? This non-fiction book explains how nocturnal animals are specially adapted to live in the dark. A silly book featuring night animals who say they are scared of night animals and don’t realize that they are themselves night animals. This book might be useful to bring humor to the fear of the sounds outside at night. firefly, hawk, cricket, coyote, rabbit, beaver, opossum, and toad. 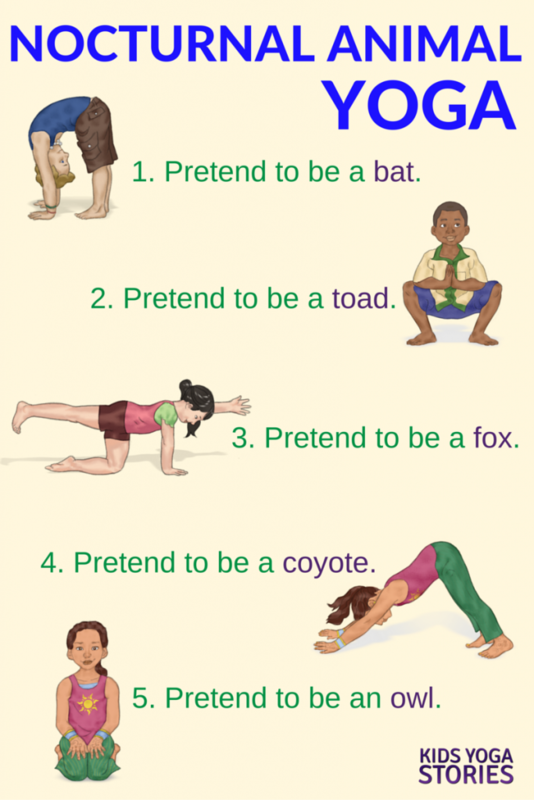 From there, you could act out the matching nocturnal animal yoga poses for kids (see below) to make the learning active and fun. 1. Pretend to be a bat. Stand tall with legs hip-width apart, feet facing forward, and straighten your arms alongside your body. Bend your upper body, reach for your toes, and pretend to hang upside-down like a bat. 2. Pretend to be a toad. 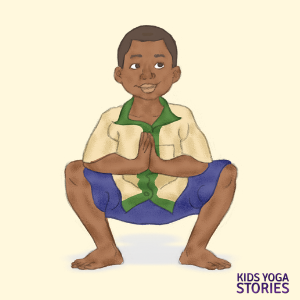 Come down to a squat with your knees apart and your arms between your knees. Touch your hands to the ground. Jump up like a toad and then come back to a squat position. Repeat the toad hop a few times. 3. Pretend to be a fox. Come to all fours, extend one leg out behind you, and look forward. Take the opposite arm out in front of you to counter-balance. Pretend to be a fox dashing through the forest. Repeat on the other side. 4. Pretend to be a coyote. Step back to your hands and feet, with your buttocks up in the air, creating a V shape. Stretch like a coyote. 5. Pretend to be an owl. Come to rest upright on your heels, with your palms resting on your knees. 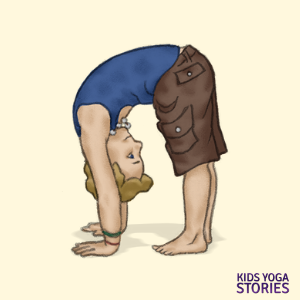 Twist your upper body like an owl turning its head. Turn your upper body one way and then the other. 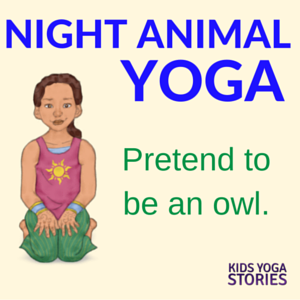 You could finish your nocturnal-animals yoga experience resting in Child’s Pose, pretending to be a field mouse. Or you could come to lying on your back with your arms and legs stretched out in Resting Pose, pretending to look up at the night sky. 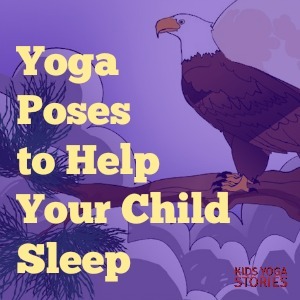 Regardless of whether you’re teaching your children about nocturnal animals to alleviate fear of the night sounds (like me) or if your children are particularly interested in night animals, acting out the animals through yoga poses for kids is sure to be active and fun! Learn about the amazing animals and creatures that are active at nighttime. Curl up like a hedgehog, perch like a panther in a tree and fly like an owl in the moonlight. 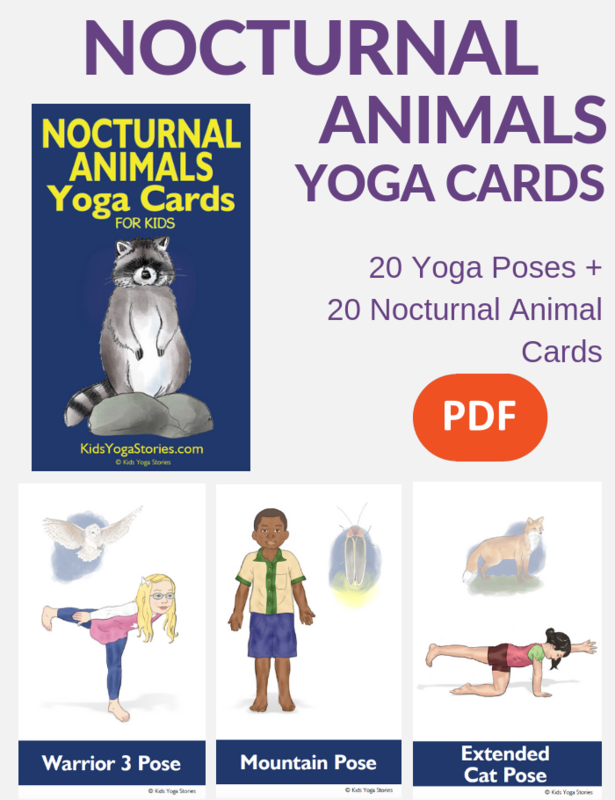 Download these 52 Nocturnal Animals Yoga digital yoga cards to learn through movement in your home, classroom, or studio. 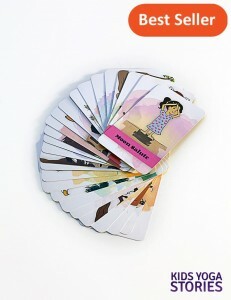 Includes an Index Card, Yoga Tips, Pose Instructions, 20 Yoga Pose Cards, and 20 matching Nocturnal Animals cards. 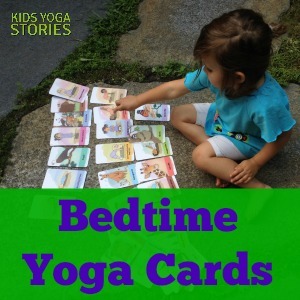 Download Nocturnal Animals Yoga Cards for Kids here. 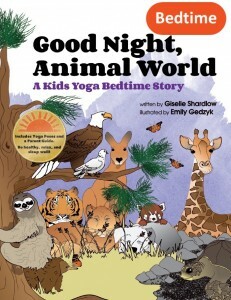 Say good night to the animals of the world through calming yoga poses for kids in our popular bedtime yoga book, Good Night, Animal World. 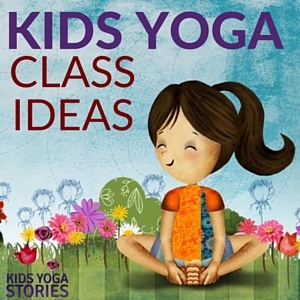 Join six yoga kids as you perch like a bald eagle, crouch like a tiger, and curl up like a sloth. 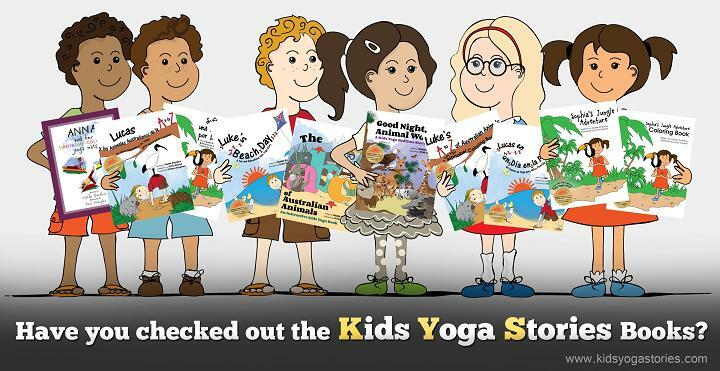 Also available is the matching Good Night, Animal World Yoga Cards to inspired create and independent play with the same calming yoga poses for kids.